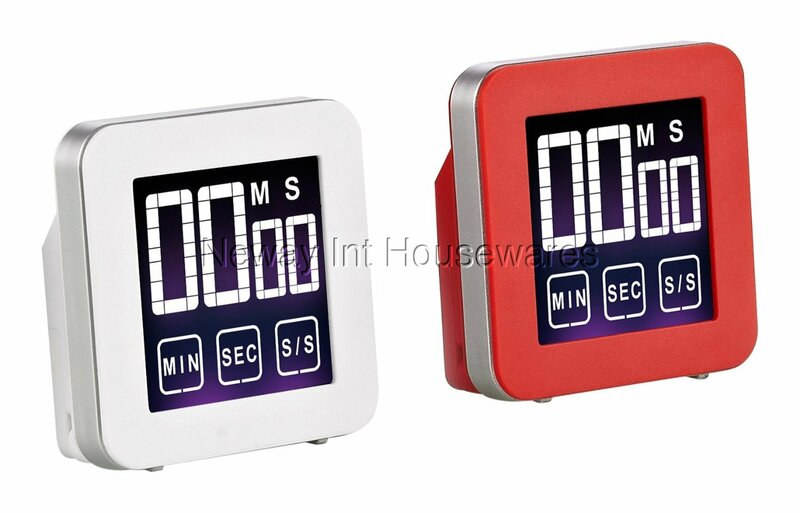 The Cook N Home 2-Piece Touch Screen Digital Kitchen Timer, Red and White has a touch screen that is easy to clean. Counts up and down to 99 minutes and 59 seconds. Alarm is loud for notification. Has a magnetic back for mounting on metal surfaces. Uses 2 AAA batteries, batteries not included.